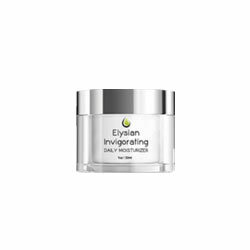 Elysian Moisturizer Review: Is This The Correct Choice For You? There is no available information about the makers behind this anti-aging product. Elysian Moisturizer must be made part of your day time and night time skin care regimens, and must be applied only on freshly cleansed and toned skin. This product is available via a 14-day free trial offer that gives you the opportunity to try this product risk-free. There is no official product website that discusses this cream in detail so that you will have to rely on mostly third-party information which makes it unreliable and, at times, even offer information that are inconsistent from each other, which makes the ingredients list in this review unreliable. It usually takes about 3 months before any subtle skin improvements brought about by a topical product becomes noticeable which makes availing of the 14-day trial a complete waste of your time and money. Critical Elysian Moisturizer reviews have complained about how failing to send back the product within the 14-day period, earns you a charge on your credit card that amounts to over US $100 plus auto-replenishment allows the company to charge you the same amount every month after. It’s not hard to tell that Elysian Moisturizer is tall on claims and short of science. If you’re willing to risk as much as US $100 on skin care, hang out and keep looking because at that price point, you’re bound to see more credible options.